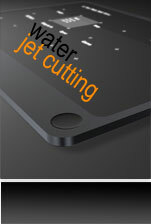 Waterjet equpment uses cold supersonic abrasive erosion to cut almost any materials both metals and nonmetals. 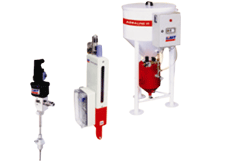 The highly pressurized water stream is forced through a tiny area which carries abrasive garnet to erode away the material. DAADS-B has the capability of storing abrasive and delivers the abrasive to the bucket automatically. The design shows our continuous effort to improve efficiency and reduce labor requirement. 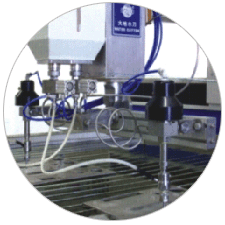 With multi cutting heads, Waterjet increases the cutting efficiency which results in saving of time and thereby increases the production and decrease the production cost.